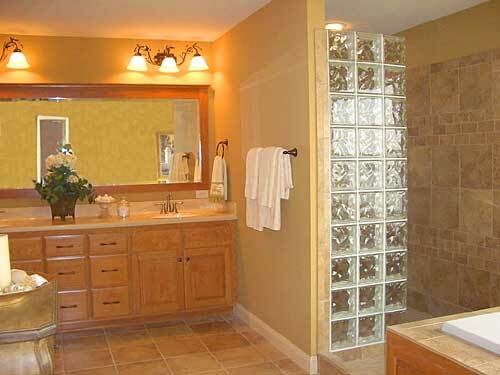 One of the hottest trends in home remodeling today is the installation of a doorless shower within the bathroom area. People are enjoying bathroom designs that either have the bath tub and the shower in separate areas of the bathroom or forgetting the bath tub altogether and doorless shower designs are very popular for the separate shower area. There are many different designs that can be used for a doorless shower and the homeowner must decide which designs fits their needs and appeals to them the most. Most doorless shower designs incorporate a number of similar features. The walls of the shower are what are used to contain the water within the shower so that everything in the bathroom does not become wet every time that the shower is used. Either the shower heads are placed on a wall facing another wall so that the second wall stops the flow of the water or the walls of the shower are curved so that the water bounces off of the wall to flow down the drain. Most doorless shower designs have a lip or step present at the entrance of the shower, raised to a height of four to eight inches. This lip ensures that the water in the shower will not begin to flow out of the shower and onto the floor of the bathroom if the drain in the shower becomes clogged. The shower would have to be running for a long period of time with the drain clogged for the shower to overflow and for water to come pouring down the lip of the shower. Doorless shower designs have no need for shower curtains for privacy, although many of these designs have a curved or bent walkway from the entrance to the shower into the main shower area. In addition to creating privacy by placing the main shower area out of sight, the walkway into the shower also ensures that the person in the shower will not be experiencing air drafts that could cool their body during their shower. Because there is not a straight line into the shower, cooler air remains outside of the shower area, allowing the person to receive the full benefit of the warmth and the steam of the shower. Doorless shower designs can incorporate many different materials seamlessly into the design of the shower. While ceramic tile still remains the most popular shower building option, some individuals are finding that glass blocks, stone, and strong, durable plastics are also suitable building materials for a separate shower area. The choice of which materials to use for the doorless shower design ultimately depends on the homeowner and which materials they like the best.